Alabama Bloggers: Southern Fried Scribes Project - You Can Help! Matt Jones and Jessica Masterton, two fiction candidates in the Master of Fine Arts program at the University of Alabama, are trying to bring free creative writing workshops to Alabama’s Black Belt this summer. Greensboro, located about an hour and a half south of Birmingham, is a town of a little under 3,000 people. Locals may know Greensboro as home to Pie Lab, a café offering hot coffee and delicious pastries in a salvaged and retrofitted space downtown, but it is also the site of HERO, Hale Empowerment and Revitalization Organization, who plans to help host the workshops for high school students this summer. 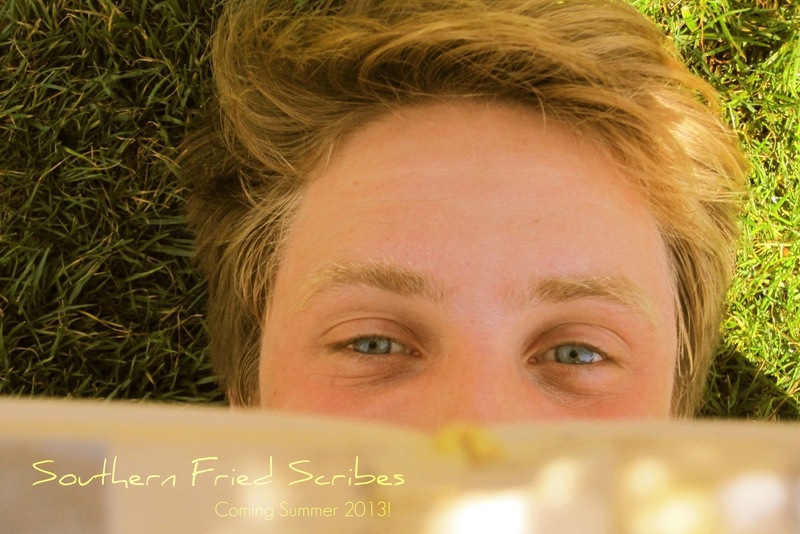 Southern Fried Scribes, a project born from a love of creative writing, a passion for teaching, and personal experiences with limited creative opportunities as children, will kick off this June and run through the first week of August. Matt and Jess hope to not only offer students a different outlet and approach to writing, but also to help participants gain confidence in how they encounter and begin to explore their own voice. Combining directed writing exercises with various artistic mediums, the workshops will introduce students to collaborations between photography, performance, and other fine arts through the works of local community artists. In August, Southern Fried Scribes will conclude with a public student reading in which all of the participants will showcase the work they have produced over the summer. Along with the reading, Matt and Jess will be printing, publishing, and providing an anthology of student writing and community work, a book of stories, pictures, and artwork that are all local to Greensboro and Hale County. To be able to offer the workshops for free to students, Matt and Jess have been fundraising on Kickstarter, a crowdsourcing website, and have until May 2nd to reach their fundraising goal. So far, they have received generous support from family, friends, Alabama artists, and the University of Alabama, but with their campaign deadline drawing near, they are trying to reach out to as many people in the community as possible. If you’d like to see how you can help, check out their fundraising campaign here and scroll through all of the neat perks that they are offering to people who donate to Southern Fried Scribes. Receive everything from a flash fiction postcard to a copy of the printed anthology to creative writing mentorships for kids when you donate as little as $5. Matt Jones is a Truman Capote Fellow and a fiction candidate in the University of Alabama MFA program. He is originally from Houston, TX and now lives in Tuscaloosa with his dog, Bagheera. Jessica Masterton is a Truman Capote Fellow and a fiction candidate in the University of Alabama MFA program. She is most recently from Minnesota, and while she does not own a dog, she is often covered in dog hair.